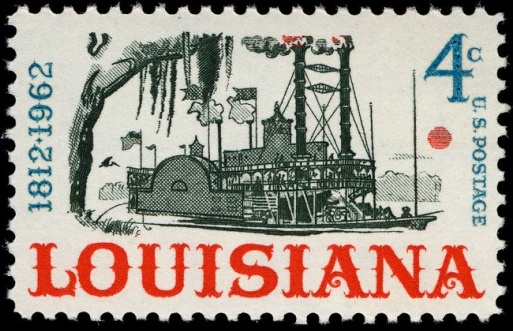 Yet another interesting poker-news story involving a bad-beat jackpot has arrived, this time from the southern US state of Louisiana. On Friday, the Louisiana State Police Bureau of Investigations Gaming Enforcement Division announced the arrests of two people in connection with the alleged fraudulent winning of a bad-beat jackpot, or BBJ, at a Louisiana casino. Arrested on criminal charges of conspiracy to commit theft over $25,000 and attempted theft over $25,000 were two residents of Jefferson Parish (Louisiana’s version of a county), which covers much of suburban New Orleans. Ashley Solomon, 66, of Metairie, LA turned himself into LSP detectives last Thursday, while Dale Foret, 51, of Belle Chasse, LA was arrested on Friday. Solomon was the dealer during the hand in question, which occurred in mid-January at the Boomtown Casino in suburban Harvey, LA. Foret was one of the players at Solomon’s table, and he was dealt the losing-but-BBJ-cracking hand in which “inconsistencies” occurred and were quickly reported to authorities, likely after a review of security footage. The player who was dealt the hand that beat Foret’s holdings was evidently not part of the scheme, and was neither named nor charged. The investigation began on January 19, 2018, when detectives were notified by the casino staff related to several inconsistencies with a “Bad Beat” poker game, with a jackpot of $166,471.00. The investigation revealed that Solomon was the poker dealer and intentionally stacked the deck of cards for a favorable outcome. Solomon then conducted two false shuffles. The second false shuffle resulted in a “Bad Beat” jackpot. Foret was one of the players at the table and the recipient of the larger “Bad Beat” jackpot. The investigation later revealed that Solomon had communicated with Foret prior to and after the poker game. Detectives obtained arrest warrants for both individuals on February 5, 2018. Both men were quickly booked into the Jefferson Parish Correctional Center, and, as one would expect, the casino declined to pay out any of the winnings initially claimed through the fraudulent cracking of the BBJ. Neither Louisiana State nor Jefferson Parish authorities have released mug shots of the pair of alleged offenders. 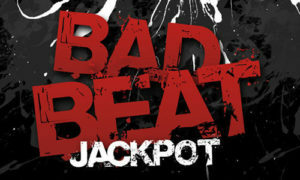 As mentioned, bad-beat jackpots have been the focus of several news stories in recent weeks. Still ongoing is the dispute involving a bad-beat jackpot cracked at Las Vegas’s Red Rock Casino (part of the Station Casinos chain) last June. That matter has been re-referred to Nevada Gaming Commission authorities in the case of a winning BBJ who techincally, but clearly in an unwitting manner (due to excitement), violated the stated conditions for winning the jackpot. The NGC has suggested the casino pay out those winnings but the Station Casinos chain continues to resist doing so. The other two BBJ stories have had happy endings. Both involved huge BBJs that were in the range of a million dollars when cracked — one live, in the state of Michigan and the other online, on the mid-sized, US-facing Chico Network. Bad beat jackpots and their inherent lure and promise of a life-changing payday continue to be popular poker promotions, though in the case of the two people just arrested in Louisiana, the “life changing” aspect isn’t going to be quite what those two had hoped.